R0243. 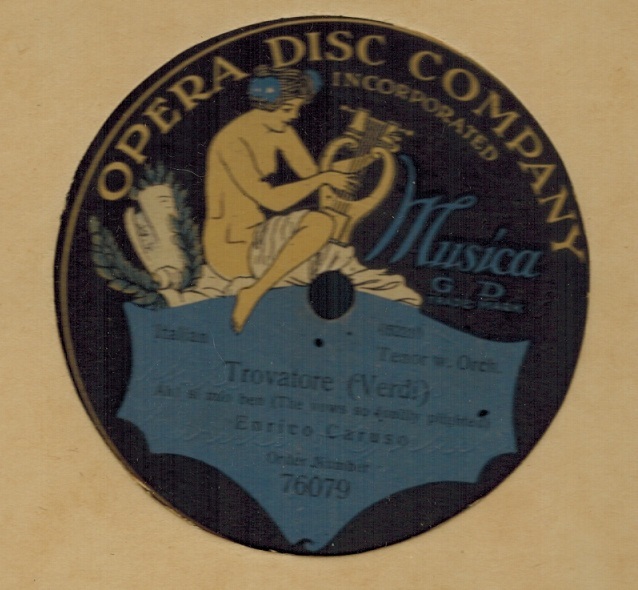 ENRICO CARUSO: IL TROVATORE – Ah si, ben mio (Verdi). 12” AC blue & black Opera Disc 76079, POM-16 March, 1908. Exceptional copy has a few infinitessimal pressing bumps.